Energy giant Endesa says it increased generation of electricity from wind power last year in Spain’s Canary Islands by 1.4 MW (megawatts), producing a total of 158,273 MW per hour of energy that supplied electricity to more than 45,300 homes in the islands. Working through its Enel Green Power España subsidiary, Endesa draws electricity from 15 different wind-turbine parks in the Canaries, five of which are located on Tenerife, another five on Grand Canary island, two in La Palma and one each on Lanzarote, Fuerteventura and La Gomera islands. Across Spain, Enel Green Power has outbid other producers at auction to win concessions granted by the Ministry of Energy for the generation of 540 MW of wind power and 339 MW of solar production capacity. According to the company, it will be investing 800 million euros in wind and solar power in Spain through Enel Green Power in the coming years, increasing its renewable energy production by 52.4 percent and generating an additional 879 MW of electricity from wind and solar facilities. Enel Green Power currently generates more than 1,800 MW of electricity from renewable sources in Spain. 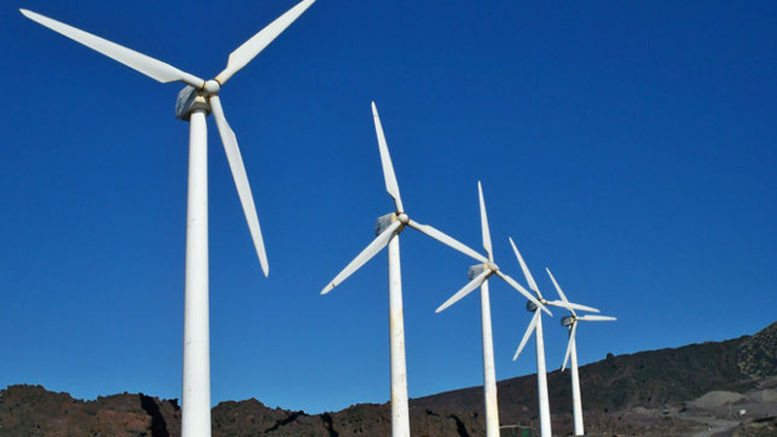 In the Canaries, its wind-power farms are located at Arico on Tenerife, which generated 16.5 MW of electricity last year, followed by Cañada de la Barca on Fuerteventura (10.2 MW) and Los Valles on Lanzarote (7.6 MW).